We are currently working on a project about criminal appeals against conviction in Jersey. The key issues are whether and how the grounds for appealing should be reformed. The project is likely to have three phases. In the current phase 1, we are seeking to discover what people consider to be the problems with the current law by asking a series of ‘scoping’ questions. A scoping consultation paper can be downloaded here. We requested responses by 16 December 2016 (extended deadline). In phase 2 (consultation), we expect to publish a further consultation report, containing provisional findings and recommendations. In phase 3 (Topic Report) we will set out our final recommendations to the Chief Minister. We published a consultation paper on prescription and limitation in March 2008 (click here to read it [2008 Prescription and Limitation]); we continue our work on this topic. 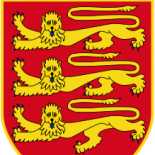 We encourage you to become involved in the process of law reform in Jersey by contacting us with suggestions or comments on the Commission’s current work or suggestions for future reform projects. Our postal and email addresses are here.